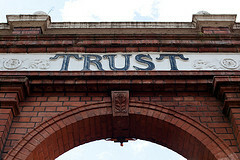 Trust is an essential element of good service. This is particularly true in the legal and medical professions, two arenas in which people trust professionals to provide guidance based on the client’s needs rather than placing profits above service. Although they may initially seem like very different practices, our work as a Northern California attorney malpractice law firm and as counsel for whistleblowers in California health care fraud cases share a commitment to similar principles of professional duty, trustworthiness, and customer service. A case currently pending in a California-based federal court involves alleged violations of professional duties in both the medical and legal arenas. As described in a Law360 report, the underlying legal action involves allegations that Los Angeles Metropolitan Medical Center (“LAMMC”), a hospital owned by Pacific Health Corporation (“PHC”), violated the False Claims Act by filing fraudulent Medicare and Medi-Cal claims. Specifically, Julie Macias, a registered nurse who worked at LAMMC from 2003 till 2012, filed the case under the Act’s qui tam provisions claiming that the hospital knowingly filed bills for millions of dollars in unnecessary services. The fraudulent claims involved “5150 holds” which, when used properly, involuntarily hold mentally ill patients believed to be a danger to themselves or others for a 72 hour observation period. Macias says she reported her concerns internally but was first ignored and then subjected to retaliation for raising the issue. Notably, PHC paid $16.5 million in 2012 to settle fraud claims involving LAMMC and other facilities. Those claims involved allegations that the facilities provided kickbacks as compensation for the referral of homeless patients and billed Medicare and Medi-Cal for medically unnecessary care for these individuals. In late April, Macias asked the judge in the fraud action to remove one of the defense firms from the case. She suggests that the law firm at issue had previously represented her in a retaliation suit against LAMMC. Maias says she shared confidential information with the firm’s founder and managing partner that could help PHC in the current dispute. Her motion alleges that the firm did not identify the possible conflict and did not create an “ethical wall” to prevent the misuse of confidential client information. The firm suggests that there was only minimal contact and that they did not actually represent Macias. Attorney malpractice and other violations of attorneys’ ethical duties are an abuse of the trust that clients place in the hands of their legal counsel. Clients must be able to speak openly to their attorneys and should be able to trust that their lawyers are acting in their best interests. Likewise, when the perpetrators are health care organizations and medical practitioners, health care fraud goes against the obligation of health professionals to place patient well-being at the top of their priority list. Both are violations of a very special form of trust, violations that place profit above professional responsibility and go against the fundamental values upon which our practice is based. This is why The Brod Law Firm works in both the health care fraud (including Medicare and Medi-Cal fraud) and legal malpractice arenas. If you are the victim of or a witness to health care fraud or legal malpractice, please call. Our Medicare fraud and attorney malpractice law offices in San Jose, San Francisco, Oakland, and Santa Rosa are here to help.